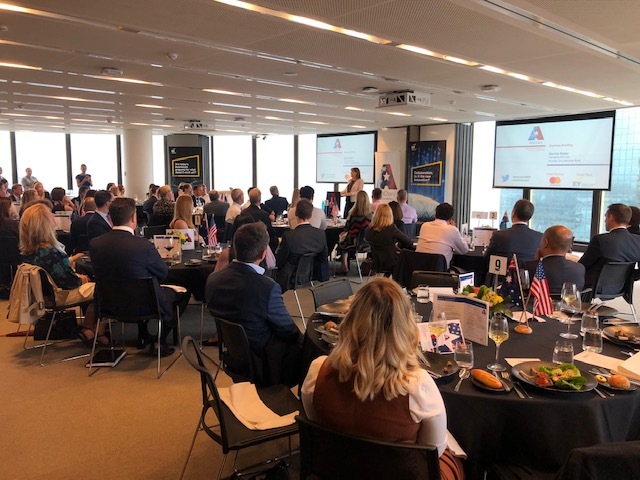 Marnie Baker, CEO of Bendigo and Adelaide Bank, spoke to AmCham in Sydney in March 2019 about her perspective on the role of leadership in a digital and post-Royal Commission world. The Bank’s shared value strategy has seen it remain one of Australia’s most trusted brands despite increased industry and national focus. Below is the text of her speech as prepared for delivery. As humans, we expect people to deliver on their promises and to show us mutual respect and empathy. As leaders, our employees, customers, shareholders and partners also expect the same. We hold that responsibility and we must respect that. But unfortunately, this hasn’t been the norm in many, many cases. For years, banks were considered among the most trusted institutions, but the problem is trust can have many faces. Historically, the trust placed in banks has generally referred to people trusting banks to keep their money safe and protect their privacy. But the other face of trust, trusting banks to do the right thing by customers and all stakeholders, has eroded significantly over the past 12 months and will be a headwind we will need to navigate over the next period. Continuing to look ahead, consumer trust driven by capability, that is in keeping money safe and protecting customer privacy, faces many new challenges that a secure bank vault could never protect. The internet, digital innovation, globalisation and a new open banking world driven by the democratisation of data, means my industry doesn’t just have to grapple with reputational damage, but it will also need to continue to innovate to win the hearts and minds of customers and importantly, convince and prove to consumers that their money will be safe and their personal data secure each and every day, and as new services enter the market. I am here today to talk to you about our role as leaders in this environment - a digital and post-Royal Commission world. With consumer trust in the banking and finance industry taking a resounding hit from the Royal Commission, recent high-profile examples of data misuse by well-known global corporations and a new decentralised open banking realm on the horizon, the challenge for you as leaders today – across industry - is navigating this new disruptive and challenging environment, delivering value to your business, and also driving better outcomes for all those that are engaged with your organisation – customers, shareholders, partners and more. To be clear, this is much more than just about the banking industry, which yes, has undergone an intense and warranted spotlight and will continue to be closely monitored well beyond the Federal election, but it’s not just my industry that has its reputation to manage, it’s across the board. Despite the recently released Edelman Trust Barometer showing that over the past year trust in Australian business in general grew 7 basis points to 52 percent, it came off a low base from 2018 and this year, only ever so slightly tipped the reputation of Australian business into a net trustful category. Only just. And when we look at Australian government, NGOs, business and media as a collective group, Australians continue to have little faith in these institutions. Our country recorded an average trust level of 48 percent. Us Aussies, we used to be an optimistic lot, but the world has changed. We all know trust is hard earned and rapidly dissolved. It is essential social capital that should never be treated recklessly. Building reputation can take decades and it can be lost in hours, minutes - even seconds. If there’s one thing that I would like you all to walk away with from today. It is to understand our collective responsibility as leaders to consciously accept that the decisions we make at our Executive and Boardroom tables need to be much more than about us. Every person, every profession, every industry and every institution need trust. We need it because we must rely on others acting as they say they will, and because we need others to accept that we will act as we say we will. It’s mutually inclusive. Sociologist Niklas Luhman was spot on when he said, “A complete absence of trust would prevent even getting up in the morning.” For this reason, humans face the world with an attitude of trust. Unless there is strong evidence that says otherwise, we assume when we go out of the front door and walk onto the street in the morning a car won’t try to run us down. It's why we trust and don’t question when we get into a lift, that the lift will get us from one floor to another without breaking down. We don’t have the time – nor should we have to – to check the professional competence of everyone and everything on whom our health or even lives may depend. That onus we place on the entity we’re engaging with to do the right thing within expectations. Benevolence asks, is this person or business kind? Integrity asks, is this person or business ethical? Competence asks, does this person or business have the ability and skills to do what needs to be done? And predictability asks, does this person or business behave in a way that I can consistently predict? Going back to my example earlier – Benevolence and Integrity – that’s the Royal Commission trusting banks to do the right thing by customers and all stakeholders – Competence and Predictability – that’s people trusting banks to keep their money safe and protect their privacy. If any of these components is called into question, trust is threatened. So how do these facets of trust apply to business – outside of banking - and how can this impact the bottom line? Let’s take trust from a benevolence and integrity perspective. Companies like The Weinstein Company have built up a reputation for creating value in the entertainment industry over more than a decade, with no more than two years ago the company being valued at 800M USD. The now publicly known misconduct of its co-founder Harvey Weinstein has destroyed almost all that value. The company recently filed for bankruptcy and has now been sold off at 35 percent of its value from its previous valuation just a few months earlier. That’s a $511M USD devaluation. Just think about that for a moment. Now, let’s take trust from a competence and predictability perspective. It’s rare to come across a speech these days that doesn’t mention Uber. But bear with me – I am not going to start talking about disruption of a traditional industry. Uber, at the end of 2017 was still valued at $69B USD, it lost over 20 percent of its valuation ($14B USD), due to an originally undisclosed data hack, targeting 57 million users in 2016. This breach of trust came from a breakdown in competence and predictability. Now, I would like you to think about your company’s reputation. If someone asked you to sum up your company’s reputation, what would you say? How would people describe its actions, its capability and its behaviours in different situations. The answer to this question is essential to the current leadership challenges of this era, where your reputation is your currency. Recent Events and Digital Impact. Facebook and Cambridge Analytica, #MeToo, Volkswagen, fake news and locally, the increased focus on behaviours within large institutions, have helped to influence a transformation on the nature of how trust amongst consumers is earned, maintained and deepened. Whether it’s Rudy Giuliani sprouting that Truth isn’t truth or Kelly-Anne Conway’s Alternative facts, the effect has been a cheapening of words and an era of broken promises. 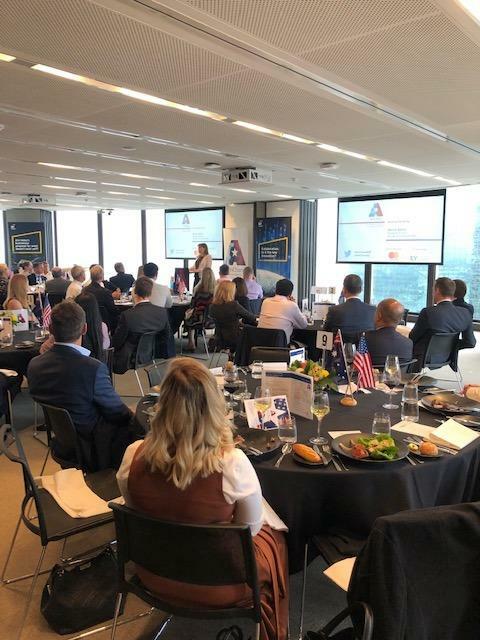 Now of course, one’s mind immediately goes to Washington when I say that but, the core challenge for Australian business leaders as the Edelman research has shown us, is that trust in Australia is hard earned. Increasing numbers of data breaches at home and abroad show that technology does not necessarily make trust easier and points to new questions, challenges and solutions for us to consider. Technology has made our world more immediate and more intimate. As we continue to engage with others in this way, more trust, not less is critical. Consumers have access to more information than any age, communicated through an ever-increasing number of channels. It’s noisy. And the same technology that is bringing us virtually closer than ever, allowing everyone to broadcast their thoughts into the world whenever they want, is also the same technology that feeds the clouding of truth amongst the noise. To add to this, we are overloaded with opinion, often masquerading as fact. Today, there is an argument that we have reached a tipping point of information, fatigue has set in and consumers are beginning to adopt a default position of distrust towards the information they receive. Business can’t hide from public view, but many are still acting in ways that create negative headlines. In the modern internet age, those who feel that they have been overlooked or ignored will struggle to accept statistics, facts or truth from those who they feel are simply treating trust as some form of tool to produce a shift in behaviour (for example vote for me, buy my computer, switch to my bank). The question for all of us is how to make sense of the modern-day challenge and succeed as business leaders? In this era, trust is our most valuable asset – as I said before, it’s the new currency of business. We need to pay less attention to what we think people want to hear from us and concentrate on what our authentic selves need to say. As leaders, it is our responsibility to encourage authentic behaviour and authentic dialogue. This is critical. We need to find a way to speak in a way that makes sense and appeals to people at a concrete level by bringing together hard (rational, fact-based) data and soft evidence (anecdotes or stories). Reputation capital can only be unlocked if our customers, partners, employees, investors and others trust you and you can only earn that trust by acting with integrity, delivering on your promises and considering the needs of all stakeholders. Open banking will be another way that financial services companies can hyper-personalise their offerings for customers in a much more compelling way. It’s the next major transformation of Australia’s financial sector beyond what is currently before it but, like the Royal Commission, the many faces of trust will be critical to win consumers over. Consumers won’t engage with it, if they don’t understand it and if they don’t trust it. Despite legislation, consumers won’t be obligated to share their data. In fact, most consumers, according to Accenture, will only engage with open banking if they trust and understand what it is and what it can offer them – more than half of Australians (53%) say they don’t understand the benefits of open banking and nearly two-thirds (64%) cite security and privacy as their main concern with sharing their financial data with third parties. Transparency is expected by customers, as is greater choice and product and service personalisation, which, if delivered upon, will lead to further innovation, opportunity and healthier competition. To succeed in this new decentralised open banking realm, organisations will need to provide products and services that are valued by new and existing customers, and prove they respect and can ensure security and privacy of customer data. They must also be open about how customer data is accessed, used and shared and ensure customers know and understand what open banking can offer them. Achieving the right balance of customer benefit, permission, access, transparency and security will drive a more loyal customer base, innovation, competitiveness and ultimately, a better business outcome. How the Needs of all Stakeholders Must to be Considered. Now back to Edelman’s recent research, some 72 per cent of Australians agreed with the statement that businesses could increase their profits and simultaneously improve their communities. This is up 9 per cent in line with a global trend. "Profits are in no way inconsistent with purpose – in fact, profits and purpose are inextricably linked. Stakeholders are pushing companies to wade into sensitive social and political issues – especially as they see governments failing to do so effectively ... Companies cannot solve every issue of public importance, but there are many – from retirement to infrastructure to preparing workers for the jobs of the future – that cannot be solved without corporate leadership." Our origins stem back to the Bendigo goldfields 160 years ago where miners pooled their funds for community prosperity. Once a month, everyone’s name would go into a barrel with one name drawn and that person allocated the funds to build their house. This defines our purpose: to feed into prosperity…not off it. It was the genesis of banking itself: the notion that everyone should benefit from a financial transaction - the investor who provides the funds, the borrower who uses the funds, the bank's shareholders who bear the risk of the borrower not paying, and society itself. That original barrel still sits in our boardroom in Bendigo and whilst the Board doesn’t use it for voting purposes anymore, it’s a symbol and reminder of our purpose that still stands today. We are focused on providing shared value which "involves creating economic value in a way that also creates value for society by addressing its needs and challenges". The founders of the notion of ‘Shared Value” capitalism conclude: “Short-term profit objectives blind firms to the need to nurture the long-term health of the markets from which they draw their revenues. Businesses must reconnect company success with social progress. Shared value is not social responsibility, philanthropy, or even sustainability, but a new way to achieve economic success." That purpose guides our strategy. Our business operates on the belief that successful customers and successful communities create a successful bank - in that order. That last phrase is the key, because it returns us to the philosophy on which banking was founded – as I said before, the bank feeds into prosperity, not off it. You can't run a successful company in a poor community, so it makes sense to invest in helping to create wealthier, more cohesive and inclusive communities. The result of a society built on trust is social capital – facilitating social development in the same way that financial and fixed capital, properly deployed advances economic development. Taking a broader look at what our role is in society beyond a narrow transactional role. We only have to look at where the industry has ended up today, where it has favoured one stakeholder over the rest. This imbalance has had damaging financial, reputational and social impacts. The job of business is to meet customer needs and to do so profitably. They need to do this to survive. So, one of the best ways for businesses to help ensure their own growth and their own longevity, is to address challenges in our society and to do so profitably. And when they do that innovatively, ethically and responsibly people will happily choose to do business with them. If the impact of trust on the bottom line was ever in question, consider Trust Across America’s research which analysed the performance of America’s most trustworthy public companies in 2016. It found that these organisations outperformed the S&P 500. Whilst businesses with low trust can sometimes be very profitable, this model in today’s digital world risks further unravelling. Focusing on profit alone is not a long-term strategy for success. The longer-game focuses on trust as a core business value resulting in happier and more productive employees, increased innovation and happier customers and partners who ultimately benefit from better products and services. In this globally integrated instantaneous digital world, trust is the new currency. Without it, service economies can’t function. The companies that misuse personal data or abuse trust will be the ones that will take the biggest hit. It is for this reason that credibility, transparency, integrity and trustworthiness are key leadership competencies of the new global economy. Trust and reputation must be bottom line requirements for all leaders. It’s a hard-economic driver and not a soft value metric. 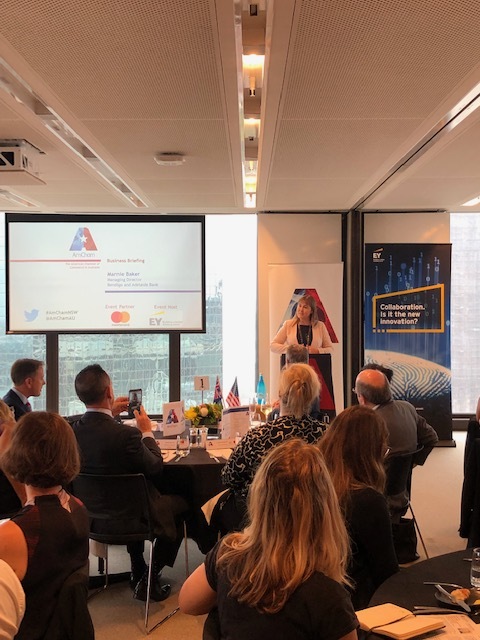 And as other financial models continue to evolve –digital banks, fintech innovation, automation and AI in home lending - and become more widely used, they will need to be underpinned by consumer trust and confidence to thrive. It’s not good enough to hide behind an updated privacy statement, a values commitment or service promise on a website. Whilst it’s important to state your intent, it means nothing if you don’t deliver on your commitment with integrity. You must be seen to be doing the right thing, in the right way, for the right reasons, in the way that you said you would. Upholding this commitment is essential for all corporations to navigate this brave new digital world. As leaders, the challenge lies with us all.